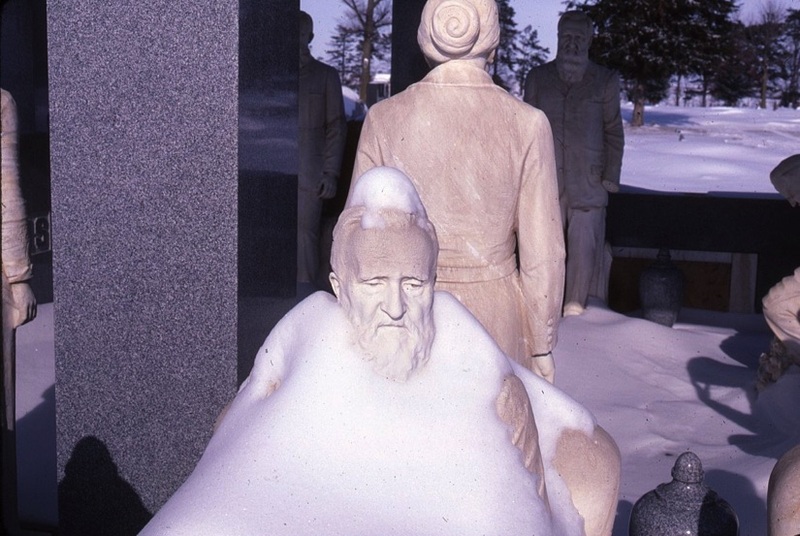 The amazing Davis Memorial at the Mt Hope Cemetery in Hiawatha, Kansas was constructed between 1931-34 of imported Italian marble and Vermont granite. The canopy of the massive structure is made of granite and weights 50 tons! 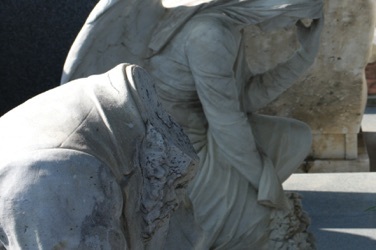 The memorial began not long after Mr. Davis' wife Sarah died in 1930 as a lasting tribute to his love and dedication to her. The monument cost over $200,000 during the Depression which in today's dollars, would be an astronomical sum. It is claimed that Davis, who had no children, so hated the town that he refused to leave any of his small fortune behind. So instead, he spent all his money on the lasting memorial. All of the monuments figures were carved in the famous Carrara pure white statuario marble in Italy based on photographs Davis supplied. Collectively, the figures reflect many of the important events from the couples life together including, when they were first courting, after Mr Davis lost his hand in a farming accident, as an older couple and finally when Mrs. Davis died. 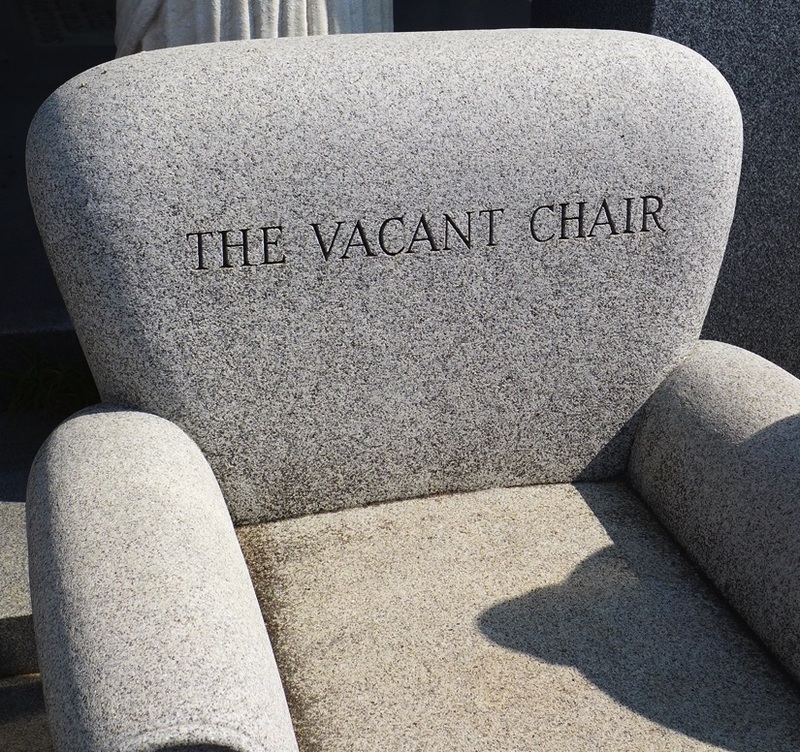 The last sculptture is of the very poingnant Vacant Chair carved from Rock of Ages granite in Vermont.